Neutrogena required a quirky mailer to engage with beauty media and communicate that their Norwegian Formula range is clinically proven to moisturise deep within 10 layers of skin. 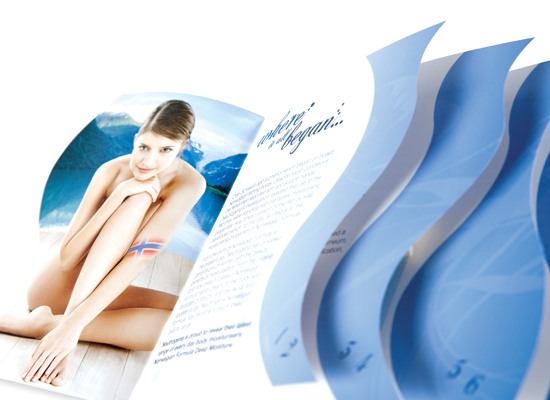 A five tab stepped booklet, complete with die cut curves to mimic the different layers of the skin. Using blue tones, brand imagery and ‘bubbly’ typography to convey depth and hydration.